What happened: Axial Engineering Limited Labasa pulled a 2-1 win against newly-promoted Tailevu/Naitasiri at the 2014 Courts Inter-District Championship in Suva yesterday. 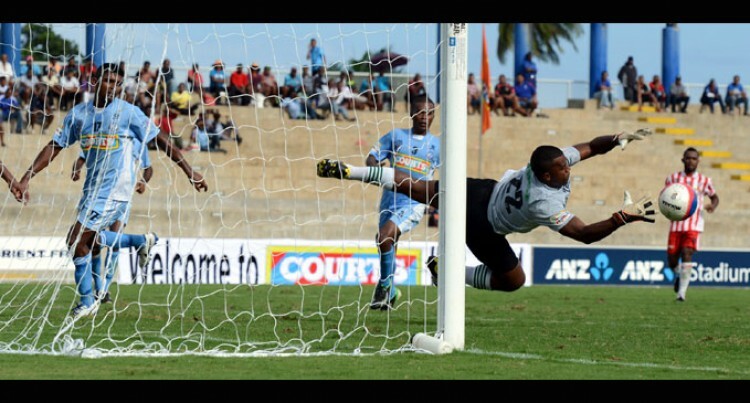 In the 23rd minute Maciu Damudamu came close to scoring but was denied by Tailevu/Naitasiri goalkeeper Lemeki Nakavu. In the 40th minute Ronil Ram for Tailevu /Naitasiri had numerous chances to score but failed. In the 57th minute, Labasa’s Epeli Loaniceva kicked an almost perfect free kick just outside the box but played right into the Tailevu/Naitasiri’s goalkeeper. In the 61st minute, Labasa finally found their scoring mojo as Christopher Wasasala slotted a low header after a corner kick from Loaniceva. Another corner kick by Loaniceva for Labasa was on point giving the attackers to head the ball in but the Tailevu/Naitasiri defenders declined their chances. In the 81st minute, Tailevu Naitasiri Ronil Ram scored the equaliser chipping the ball past the keeper. But Joseph Mishra sealed the win with beautiful goal from outside the box. Joseph Mishra’s goal was perfectly executed. Tailevu/Naitasiri played well in the second Super Premier game.